Minister Simon Coveney with Deirdre Mortell (CONNECT Social Entrepreneur in Residence) and Jacquelline Fuller (Director of Google.org). 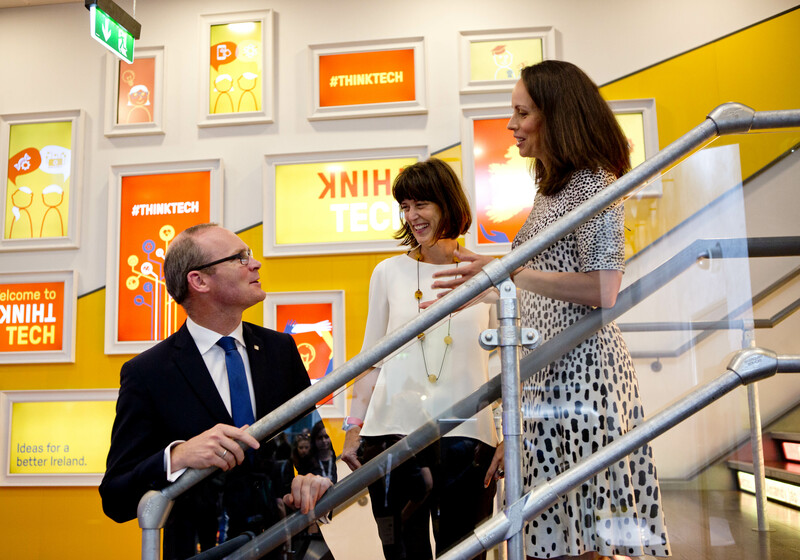 The winners of THINKTECH were announced by Minister Simon Coveney, TD, on Wednesday, 7 December 2016, at the Google Foundry in Dublin. They are Dublin-based Foodcloud Hubs, which redirects surplus food from producers to foodbanks and charities using a simple app. The Alone platform, which uses various technologies to help older people live independently at home, and iScoil, which provides access to education for early school-leavers through online and personalised learning programmes, were also selected. The three winning projects will each receive €210,000-€220,000 in financial and non-financial grants and join a five-month accelerator programme, starting in January, devised by Social Innovation Fund Ireland. This is supported by Google.org, the web giant’s philanthropic arm, and the Department of Housing. An early-stage award of €100,000-plus membership of the accelerator programme was also granted to Space Engagers, a Dublin-based project which tackles homelessness via digital mapping. THINKTECH, a €1 million tech-for-good initiative to support and grow ideas for a better Ireland, is a project of Social Innovation Fund Ireland whose CEO, Deirdre Mortell, is CONNECT’s Social Entrepreneur in Residence.